There were 738 press releases posted in the last 24 hours and 153,510 in the last 365 days. 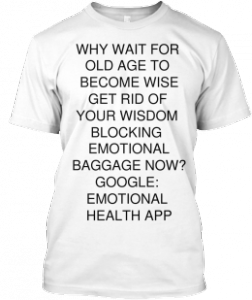 Creating emotional health is creating wisdom. Heal your brain and become wise. An emotionally healthy self-image is all one needs to become wise. As wisdom springs from emotional health; the focus must shift from trying to understand, define and teach wisdom to creating emotional health. — Sajid Khan, We need to create a new profession of Brain Cleaners/Healers. time has come to focus on healing the brain. passing better and better laws based on carrots and sticks. challenged brains by passing laws. self-identities of the young and the old students. brains and minds into super-emotional-health/wisdom. best; he made Tiger become the best. as a compulsory subject for PreK-12 and beyond. 8) We create emotional health in our girls as we bring them up humble. both our girls and boys as humble as possible. a whole new profession of Brain Cleaners; who will heal the emotional baggage. Neglected and Above all the Brain is Miseducated.